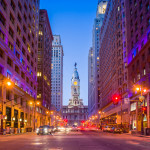 Give us one evening in the Philly Spotlight, and you will be a Philly music lover forever! Want to know why? Because we produce Concerts with a purpose. 100% of Your Purchase Helps Kids in Science & the Performing Arts! 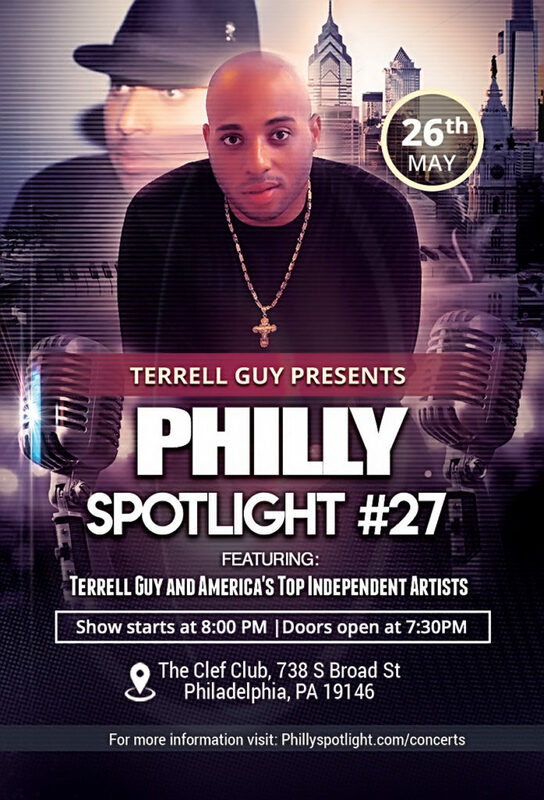 Terrell Guy Presents Philly Spotlight show 27 featuring Terrell Guy and America’s Top Independent Artists. 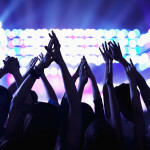 Make it a night you will remember with Terrell Guy & the Philly Spotlight Band! 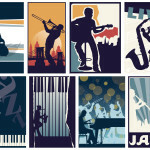 Philly Spotlight serves the Philadelphia music scene by producing and promoting our own concert events in a variety of music genres – namely Jazz, Gospel, R&B, and Soul. If you’re a local or traveling music lover, you won’t want to miss one of our live music concerts. We bring you new and amazing music talent from independent artists, up-and-coming musicians with devoted followers, as well as top names in the music industry. Think of us as the entertainment company that never sleeps! Ticket Discounts: As a courtesy to our guests, we bring you discounted pricing for almost every show, typically 5% to 10% savings. Guest Services:We are 100% committed to giving you a worry-free concert experience. 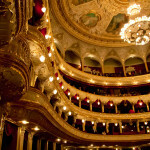 We can organize a day trip filled with fun, shopping, and food before the concert. We also provide special accommodations for concert goers with disabilities. Doors open one hour prior to each performance with a 15 minute curtain call before start. Safety Guarantee: Philly Spotlight shows are only held in safe locations with ample on-staff security. We take safety seriously and even ensure that parking areas are well-lit and secure. We guarantee every effort has been made to keep you as safe as possible while attending a Philly Spotlight concert. 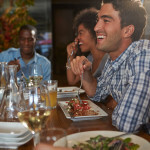 Group Rates: If your group is 50 or larger, you qualify for a group rate. Please send us an email to grouprates@phillyspotlight.com, and include the name of the concert you’re interested in, the number of guests in your party, and we’ll reply within 24 hours. Artist Services: We provide cost effective services to book and promote your next concert event. Consider us your one-stop-shop, we make it happen! We promote, stage, create, schedule and manage rehearsals, provide lighting professionals, choreographers, production managers, and audio and technical crew to name a few. You can trust our advice because we are also musicians with six years of production experience – and are passionate about giving you a top quality performance the audience will love. For Promoters: We would like other promoters to consider booking our shows because we bring the entire show to you instead of you trying to book out multiple artists. We also assist promoters with marketing and promoting of our events. We can tailor the entire event based on your budget.